After chemo, I get a Neulasta shot to boost my bone marrow production so my red blood cell, white blood cell, and platelet counts don’t fall too low. My red blood cells have had a hard time staying in the normal range, but (knock on wood), the white blood cells and platelets are staying in the normal range. The Neulasta is a specialty product, so I can’t just order it for my local pharmacy and pick it up on my way to get the shot. Instead, a specialized pharmacy has to ship it to the Regional Cancer Center and I bring it home with me after chemo to take to my primary care provider’s office the next day. After my first chemo, I was handed a little baggie with the shot enclosed in a small box. For my second cycle, no one realized we’d have to reorder the shot, so it wasn’t available for me to take home. Instead, I had to drive back to the Regional Cancer Center the next day for my shot. We’ve since set it up so the it gets ordered every time. These past two times I’ve gotten my Neulasta in it’s original packaging. It’s so impressive, I thought I’d do a little unboxing ceremony like they do for new board games. 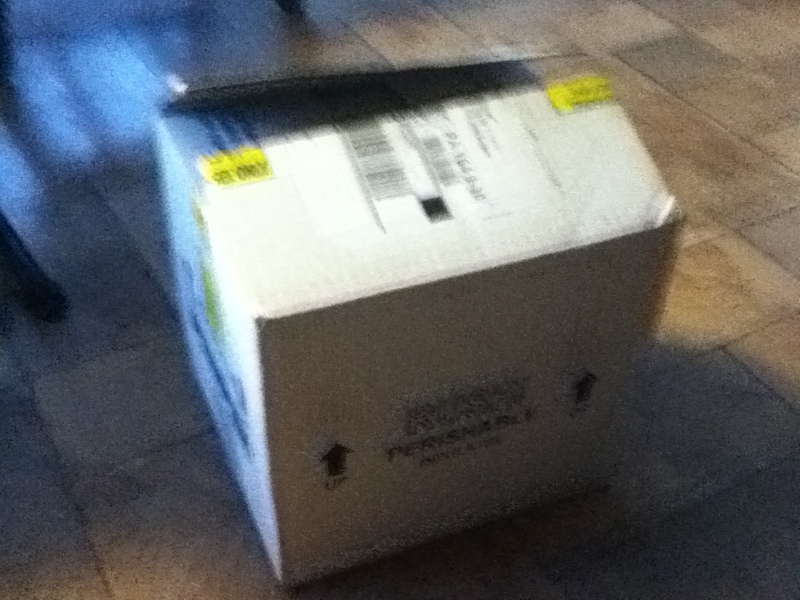 The shipping box – a little blurry, sorry. Open up the box and what do you get? 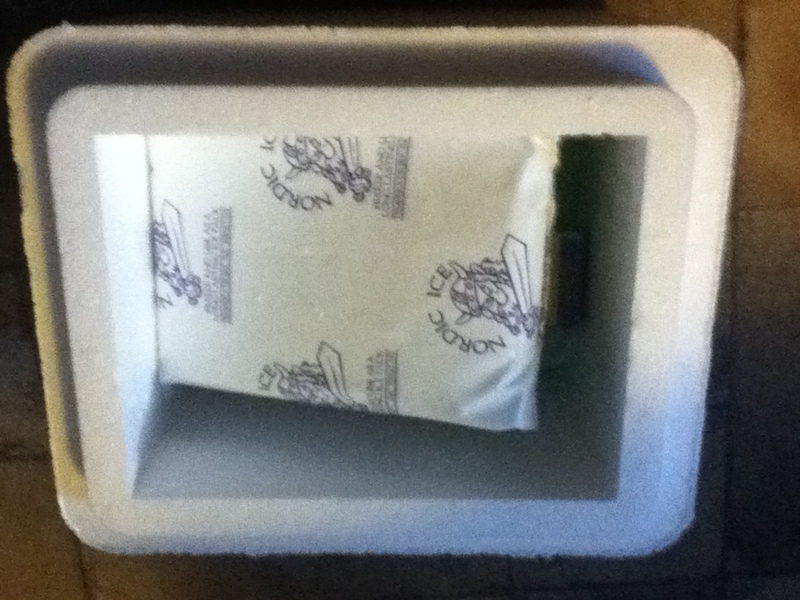 The internal styrofoam box that fits the shipping box exactly. 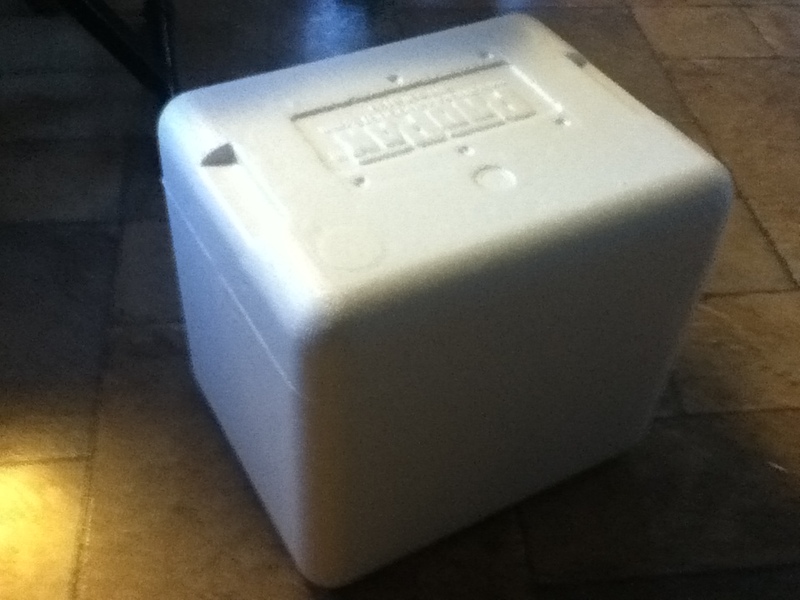 Open the styrofoam and what do you get? The best cold packs ever. 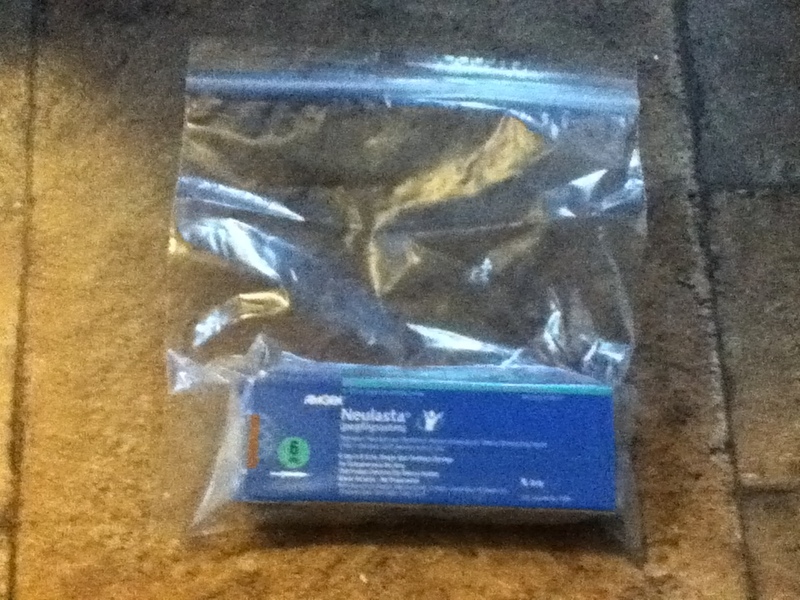 The Neulasta needs to be kept cold, so it’s shipped with three cold packs. These are the best cold packs I’ve ever owned. They stay frozen in the car for over 24 hours. Anyone want some? I get three new ones each time I get a shot! Take out the cold packs, and what do you find? The packaging for the shot. The actual packaging for the shot. I should have put something in there for scale, but it’s about the size of my hand, while the box it comes in takes just about both arms to wrap around. No worries about this little thing getting broken in transit! While I appreciate what the shot does for me, I don’t appreciate how it makes me feel (fits right in there with the chemo). It’s the most painful shot I can remember having – along the lines of a tetanus shot – and then it makes my bones hurt for a couple of days. But, eyes on the prize – the chemo is working on shrinking that tumor down to nothing. This entry was posted on September 29, 2013, in chemotherapy and tagged neulasta. Bad news: I don’t really count it as done until the side effects are gone, and the nausea started early this time. I felt a bit nauseous once the chemo drugs started going into my system, even with all the anti-nauseous pre-meds they pumped into me. Today is the same, but that’s typical. Good news: My white blood cell count went up, and my platelets are still in the normal range. Bad news: My red blood cell count is now low, and my hemoglobin and hemocrit levels remain low. Good news: While the hemoglobin is low, it is stable, and my iron levels are normal, so no more iron infusions on the schedule, and I won’t need a blood transfusion any time soon. That means my chemo only took five hours this time – the shortest one yet! Bad news: My liver enzymes went way up, even higher than that first time when they were high. Unfortunately, I didn’t have those values when I saw Dr. Li on Tuesday, so I’m not sure what it’s going to mean for the last two cycles of chemo. Questions to ask the next time I see him (and I’ll have new bloodwork at that point, so we can see if they continue to go up). The frustrating thing for me is there’s really not much I can do to improve my liver, beyond not stressing it out with other drugs to detoxify, which is why I’ve given up alcohol for chemo and only take Tylenol as a last resort (which I haven’t needed since my surgery for my port). And I’ll end on unmitigated Good news: The breast MRI showed that the tumor which was taking up nearly my entire right breast has almost completely disappeared. There’s just a residual piece about one cubic centimeter in size, and that was after only half the chemo cycle. The last half of chemo should wipe that right out, which significantly improves my outlook. Here’s to good drugs! 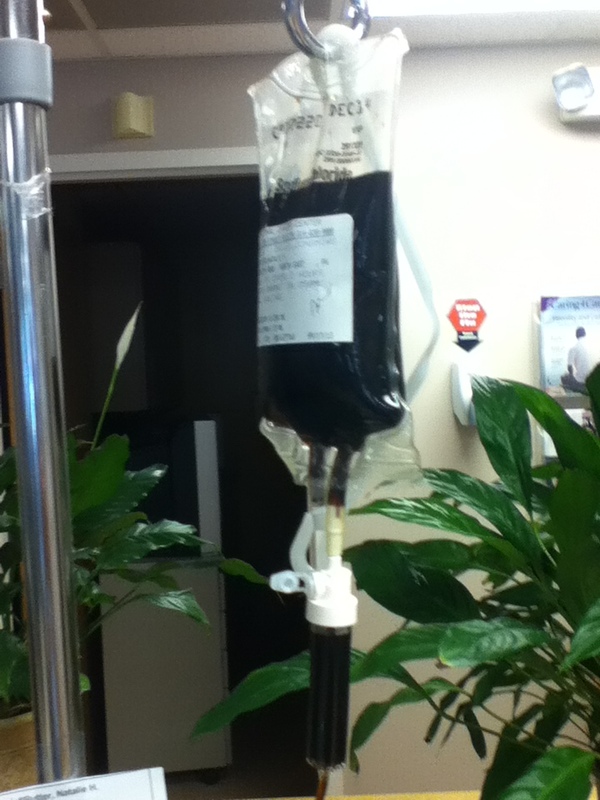 I had my third iron infusion on Thursday, accompanied once again by my friend Rush. I was scheduled to start at 3:00, but didn’t get in until 3:30 which was unfortunate, since it takes two hours for the infusion. It’s shorter than a day of chemo, but still would be pushing 6:00 by the time the infusion and the half-hour observation period following the infusion was done. Luckily, I got the go ahead from one of the resident hematologists that I didn’t have to sit around for a half an hour afterwards since I’d already had two infusions and no reaction. The bag of Venofer dripping into my veins. It kind of looks like root beer in the bag. I’m hoping this was my final iron infusion. I appreciate the extra energy I’m getting from having a full hemoglobin and hemocrit count (I’m assuming), but I don’t appreciate the side effects of the Venofer. The first two times, it really affected my taste buds and made everything taste flat. It also leads to a sore throat. I asked the nurse if there was anything I could do to prevent or minimize the sore throat, but she had never heard of that particular side effect. Apparently I got an uncommon one. We eventually decided to try some Tylenol PM – Tylenol for the pain and a bit of Benedryl to see if perhaps there was an allergic reaction going on. It seems that the third time is a charm, or perhaps my body just needs to get used to the new drugs, but I haven’t had the taste changes this time around. That has made me happy because I get cranky when I’m hungry and can’t (or don’t want to) eat. I can feel a bit of a sore throat hanging around, so I doubt I’ll avoid that particular side effect. Better stop at the pharmacy soon! The best part of the whole day was going out to dinner afterwards. I had planned on it, since I knew I’d be late getting out. We were out just after six and headed to the Thai place in downtown Erie. I love noodle dishes, but it is not child friendly, so we never go as a family. This was a perfect night to go. I didn’t get my all time favorite dish of Pad Thai, since I didn’t want it to taste bad. Instead I had Drunken Noodles which were quite tasty and full of veggies. After dinner, it was finally time to head home and hear how the family did without for the afternoon. This entry was posted on September 21, 2013, in chemotherapy and tagged elements, side effects, venofer. Dr. Li scheduled me a breast MRI to get some pictures on how well the chemo is working. I know the chemo is working, because I can feel the difference in my breast, but he needs some documentation so it’s off to the Hamot Heart Institute for another MRI. I forgot you’re not allowed any metal in an MRI machine, so not only did I get the awesome hospital shirt, but a pair of scrubs on the bottom. I also brought a knit hat for my nearly bare head. The hospital rooms are kept really cold so the equipment works best and I knew all that cold air blowing on my head would be quite chilly. At the same time, my usual hats wouldn’t work since the brim would get in the way when I lay down. Knit beanie hat it is, then. All set to go into the MRI. Such an awesome look, don’t you think? The MRI was much better this time than the first time, and I have the technician to thank. She told me whenever a new scan would start and how long the scan would last. I learned all the quiet times were in between scans and each set of noises was a different type of scan. I also was easier to deal with the noises when I knew they wouldn’t last more than five minutes, although most of the scans were shorter. I was a little worried about my drippy nose while I was laying on my stomach in the MRI. Without any nose hair, my nose drips nearly constantly. Laying on my stomach without the ability to move my arms could be a recipe for snot disaster. We put a couple of tissues on the table under my face to catch any drips. Turns out the rooms are not only cold but dry so no drips the whole time I was in the machine. As soon as I stood up, I had snot dripping out of my nose, but there are boxes of tissues everywhere so I was covered. 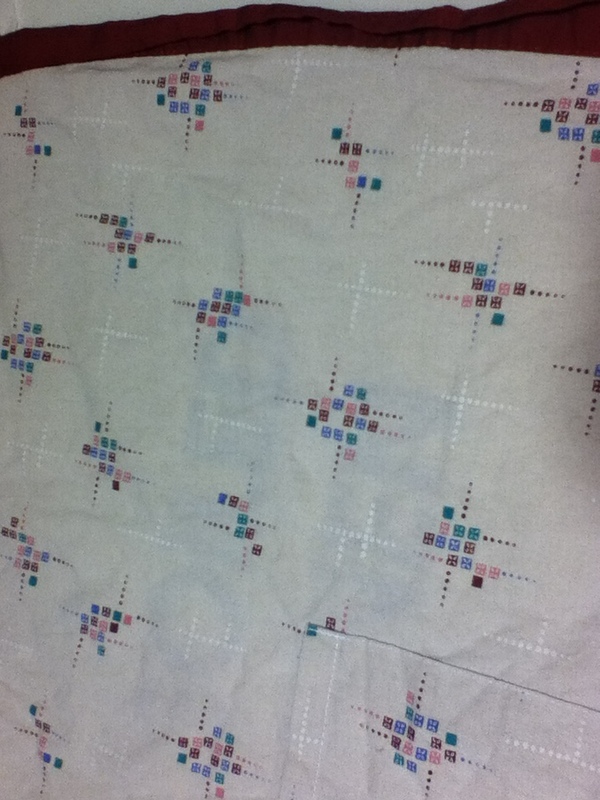 The pattern on my hospital gown. Someone obviously made it and chose it and thought it was a good choice. Really? It’s a weird light gray gown with random squares on it. Not anything anyone would choose to wear on purpose. 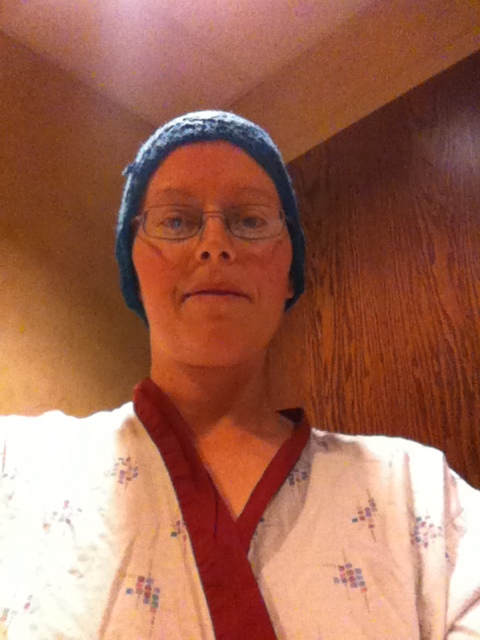 This entry was posted on September 20, 2013, in tests and tagged breast MRI. BRAIN: Hello, throat. How’s it going? THROAT: Oh, I’m just fine, thanks. BRAIN: OK, then, the mouth seems to need to swallow. Can you do that for us? THROAT: No thanks, I’m good. BRAIN: No really. We need a swallow here. THROAT: Oh, alright. POW!!! FLAMES IN THE THROAT!!! MAJOR PAIN!!! Um, can we not do that again anytime soon. BRAIN: Sure, no problem. Sorry about that. It’s really hard to go to sleep when every time you swallow, the pain from your throat wakes you up. Normally with a sore throat, I’d load up on the vitamin C, drink a bunch of honey and lemon tea, and gargle with salt water before bed. Don’t want to mess up the chemo drugs, so the vitamin C is out and my chemo-altered taste buds are telling me that honey and lemon tastes nasty, so we’re down to gargling with salt water. At least it didn’t make me nauseous. By the next morning, nothing hurt near as badly, but I did need a morning nap to make up for all the sleeping I didn’t do the night before. Friday, the day after another infusion, brought its own set of trials and tribulations. It seems that the Venofer is affecting mostly my mouth, so everything tastes off. This was extremely frustrating to me because I was hungry, but nothing I ate tasted good. Not everything tastes bad, but it all feels wrong in my mouth. Even my lemony water wasn’t cutting it anymore. Gatorade had gone back to tasting like spit, but plain water was nasty and tea was worse. I probably got a little dehydrated because I had to force myself to drink and eat all day. By the end of the day I was biting my tongue to keep from snapping at everyone. Even now, a few days later, my mouth is still not back to normal. Eating is just not enjoyable, even when I’m hungry and my husband makes tasty meals. The good news is I have one more infusion, and then I’m done. 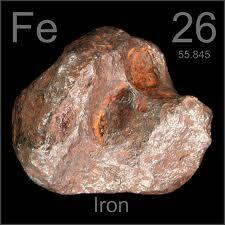 I should be able to maintain my iron levels with diet once the Venofer brings them back up to normal levels. Always have to find the bright side, right? This entry was posted on September 16, 2013, in chemotherapy and tagged bone pain, neulasta, side effects, taste changes, venofer. One thing I find fascinating about the time after chemo is how alike and yet not the side effects are. The major side effects seem to ebb and flow in a similar pattern, but each time has had unique aspects to it. Let me give you some examples. The first time around, I was completely exhausted in the week following chemo. I’m sure it was a combination of I wasn’t as careful to rest (because I didn’t know what the fatigue would feel like) and the chemo drugs were doing quite a number on my cells. Regardless, I was tired, and as an added bonus, not hungry for several days. The second time around, I wasn’t near as tired (my kids being out of the house for several days probably contributed to that as well as me taking better care of myself), but my mouth just tasted nasty all the time. StatsGuy did manage to put it in a positive note – the Venofer infusion I had at the end of chemo has probably given me a boost of energy that I didn’t have the past two times. Instead of sleeping through the icky feeling, I’m awake during it. Too bad I don’t have enough energy to actually DO something. Oh well, I did make myself a note of things I could do that didn’t take much energy, so I’ll have to try to check something off that list tomorrow instead of just being bored. One help in getting me through diagnosis and chemo has been the chance to talk to other women with breast cancer who have been through what I’m going through now. Surprisingly to me, there’s actually an organization in Erie that is dedicated to young women (45 and under) who have been diagnosed with breast cancer called Linked by Pink. I managed to look up the group before I started chemo and noticed one of their social meetings was planned the day before chemo. I was a little nervous going into the group cold, but I was so glad I did since I was able to get some “in the trenches” tips and support before I even started my treatment. Every month, they plan a meeting. At the moment, they schedule two social gatherings for every one support meeting. Last week was a support meeting, so there was a little more structure to the meeting than the social meetings that happen at a bar or restaurant. I was happy to see a few people I recognized from the first event I went to, so I had someone to sit by and see how they were doing. We spent the first bit of time just chatting, but went around the room and introduced ourselves and when we were diagnosed. I talked a little longer than most of the other women there since I’m just starting treatment and I’m new to the group. The other news that took up much of the time was The Living Pink Pageant. One of our members (Angela) participated in this when she lived in Seattle, and she’s managed to get it started here in Erie this year. There are five contestants competing to raise the most money for Linked by Pink. Many local organizations are donating materials for the competition (dresses, flowers, and the like) and we even get two drag queens to keep the energy up and move the contestants through the parts of the pageant. Sadly for me, it’s two days after my next round of chemo, so I know I won’t have the energy to go, but it sounds like a lot of fun. Maybe next year, right? Once again, I was really happy to go and talk to other women who have been where I am now. The conversations are much different since you can talk about things like where was your port located on your chest, or how bad did your Neulasta shots feel. It’s definitely something to push myself to go to, if I at all have the energy. The next social get together is October 1st and will be held at Claytopia. We’ll see if I make it since it will be less than a week after chemo and I’ll still be in the depths of side effects. Linked by Pink does keep a calendar of upcoming events if you know someone who would benefit from joining us. This entry was posted on September 8, 2013, in support and tagged Linked by Pink, pageant, support meeting.